A complete collection consists of all sizes; from the ‘Nano’ to ‘Large’ sizes. A few years back, there was only one size available for the Balenciaga Classic City Bag – the ‘Medium’ size. 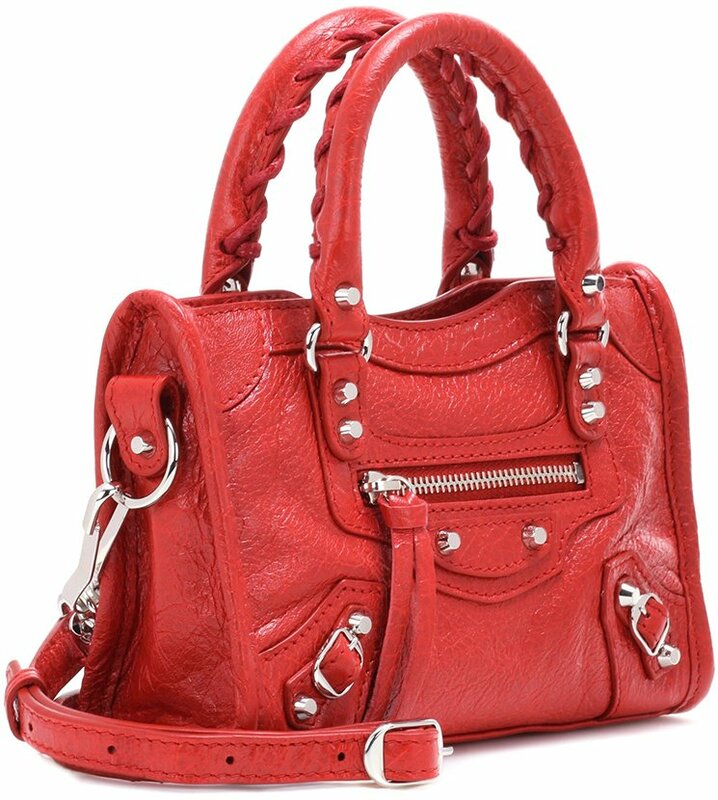 Then the Balenciaga Mini Classic City Bag was introduced and finally, the fans could choose a smaller size of the iconic motorcycle-inspired handbag. These were the only choices back in the days. But just recently, Balenciaga started to expand the collection, after all the Classic City Bag is the signature bag of the fashion house. So they released the ‘Small’, this was just a few months ago. And already they went for the high road, and today you can even choose the ‘Nano’ size if you want. We belief that this will be last stop; there can’t be a tinier size than this. ‘Nano’ Bags are so in at this moment, we’ve seen many designer brands downsizing their iconic handbags; think of Louis Vuitton and Celine. 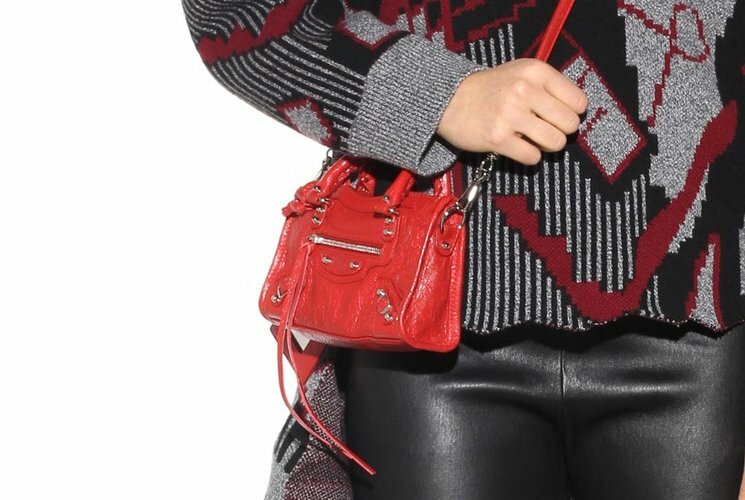 The Balenciaga Nano City Bag is the perfect mini bag if you want to upgrade your urban-chic outfit. It comes with a shoulder strap that can be adjusted and detached, think of how cute it would look if you wear it cross body. The bag comes with a zipped front pocket for the convenience; the interior is made with one large compartment and an slot pocket. Made in Italy, measuring 7’ x 4.5’ x 2.5’ (W x H x D) inches, priced at $1070 USD, €845 euro, $8800 HKD, ¥132000 JPY, $1645 AUD, via MyTheresa. As you get older like me (ouch! ), you will find yourself wanting to carry bags with less weight. A month ago, I went to the Louis Vuitton boutique and saw the cutest mini bags. They are lightweight and easy to carry because of the shoulder strap which works for crossbody wear. Alongside the classic mini pieces (speedy, noe, alma), there was the mini version of the Monogram Dora. It is a very cute, structured nano bag. But woaah the price is already at par with that of a regular sized Speedy! Would you rather go with this adorable little bag or would you pay for the larger Speedy? You will find yourself wanting to carry bags with less weight as you get older. A month ago, I went to the Louis Vuitton boutique and saw the cutest mini bags. They are lightweight and easy to carry because of the shoulder strap which works for crossbody wear. Alongside the classic mini pieces (speedy, noe, alma), there was the mini version of the Monogram Dora. Nano Dora is a very cute, structured nano bag. But the price is already at par with that of a regular sized Speedy! Would you rather go with this adorable little bag or would you pay for the larger Speedy? Our What Fits category is a reader favorite, and I promise we'll be sharing more bags and what you can expect to fit inside them in the near future. (If you have requests on bags you want to see included, let me know in the comments below.) Knowing the interior capacity of a bag is especially important for smaller styles; what looks like it can fit a continental wallet in a stock image may only be able to handle a card case in real life. When the Cèline Luggage Tote became all the rage, I'd see it almost every time I turned the corner in NYC. The bag was the thing to have, and people were going crazy to get the colors they wanted. I snatched up a few very quickly, and the Nano size (the smallest the brand makes) ended up being my favorite. One of the reasons I love this bag is because it fits my long continental zip wallet. I've always liked a big wallet, and many of the smaller bags I own don't work with this one, which I love and have had forever. Of course I can transfer the cards I need into a card case, but I like having everything; just in case I need my health insurance card or my Starbucks gift card, I know I didn't forget it. A large wallet slides into the bag snugly, but it isn't too tight. It's easy to get the wallet in and out, but it does take up a bit more room than is ideal. 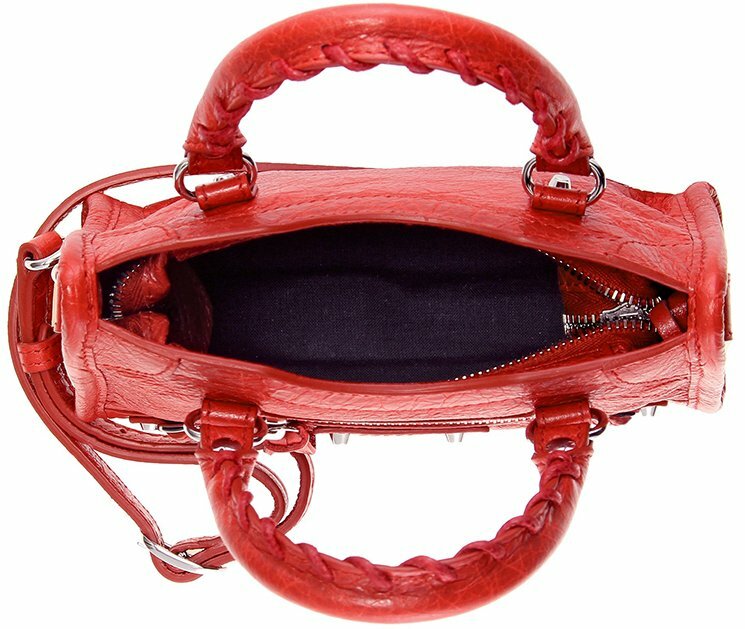 If you have a smaller wallet, it will open this bag up to even more space. I have to carry my sunglasses with me since the sun in South Florida is intense year-round, and my case fits into the bag just fine. And then, I always have a few other items with me: my iPhone, car keys, a couple lip glosses and business cards. The dimensions of the Nano are 8" H X 8" W X 4" D, and the Nano currently retails for $2,700 in solid-color leather. Louis Vuitton has released new Nano bags for Spring/Summer 2016. The Monogram Empreinte Montaigne and Monogram Canvas bags are now available in Nano sizes. The Nano Alma Bag also comes in new Epi Denim leather. A few months after the Nano Collection was released in July, the brand has increased its prices slightly, with the Nano Speedy priced at $955 (USD), $5.00 more than the Speedy 25 bag. Check out the new Nano bags and the increased prices of the original styles. They’re tiny and a bit pricey; they’re cute and fashionable. Every iconic bag deserves to shrink at house of Louis Vuitton and that includes the Montaigne and Dora Bag. Sometime ago, we’ve announced the shrinking-evolution of the Louis Vuitton iconic bags like the Noe, Alma, W or the Alma Bag. They’re available in miniature-size – and they’re so cut like little babies. But here’s the story; Louis Vuitton has made more bags in tiny edition and now the Nano Montaigne and Dora Bag are included in the collection. And besides that, the Nano Alma Bag is even crafted in Epi Leather. So forget about the Wallet on Chain Bags because these are perfect as well – they’re light-weighed, versatile and also featured with long strap to carry on your shoulder.